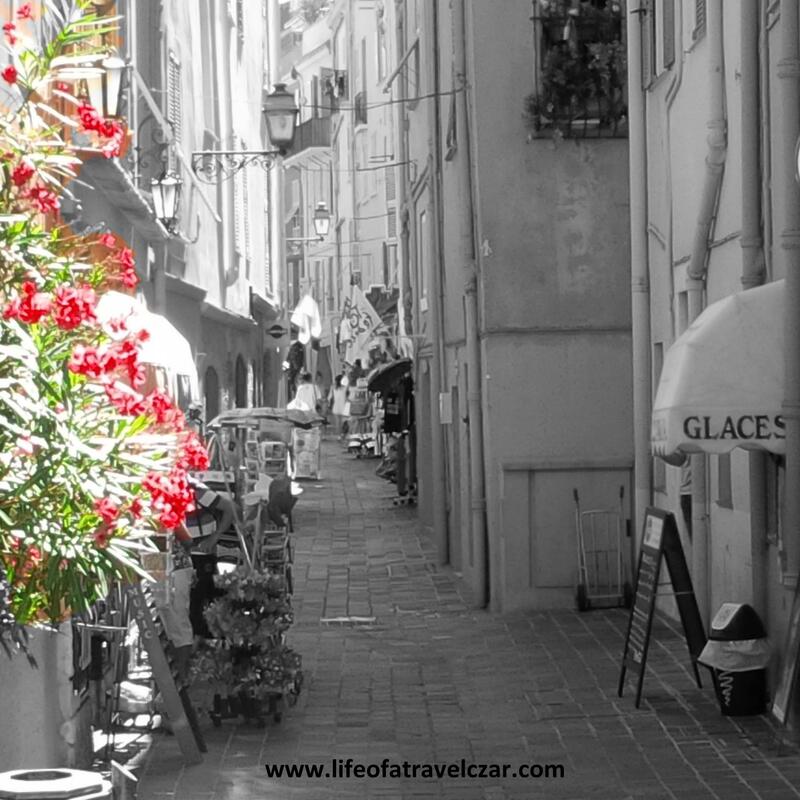 As I sit in Sydney, the grey skies and winter cold leaves me longing for the colour and sunshine of the European summer… which got me thinking how travel is really the colour that paints our grey routine with that radiant glow! I also found an app on my Blackberry (yes I still use one of those) to colour splash some of my travel pictures to show that sometimes the things that have your focus illuminate from their surroundings as colour does from the grey routine of ones life. When I sit in the Qantas First Lounge at Sydney the bubbles from the pale yellow champagne and the red and white flying Kangaroo on the Qantas plane tails are my total focus. On board does the focus shift from Champagne? Nope! 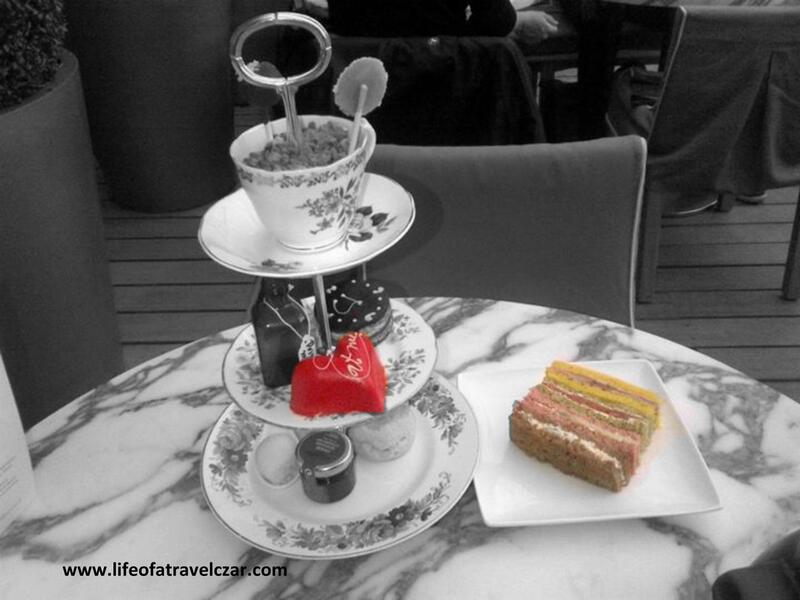 When I was in London a few years back I had an Alice in Wonderland High Tea…. the love heart cake and the finger sandwiches captured my full attention (you can read about the trip here). The Ledbury is my favourite restaurant in London and when ordering the lamb, you just wonder why they bother with the extra ingredients on the plate, the lamb is the sole reason for the dish to exist. I just love Sketch and the East Bar is one of the highlights of the Sketch complex. This avocado based cocktail just shone above all else (even with out the colour splash app). Traveling home to Perth is always exceptional… I just love being with my family. We often do amazing family dinners and Rockpool in the Crown do some of the best steaks… it definitely stands out. This featured on the Best of Steaks List. Venice has to be one of the most beautiful cities in the world. But a star attraction for me in Venice was Harry’s Bar. They invented the Bellini and when you’re there it’s like the rest of the bar is colourless except for the light yellow-orange stone fruit drink that stands before you. You can read about my time at Harry’s here. 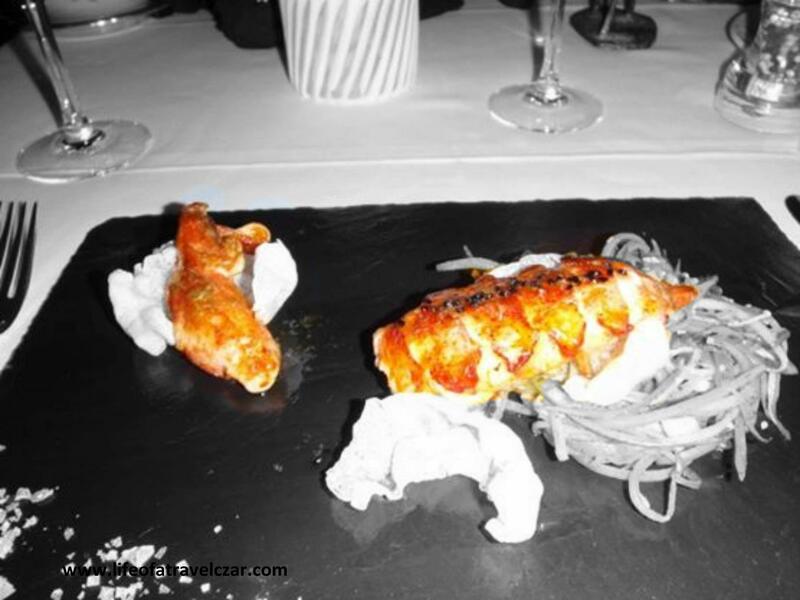 When on the ski slopes the pure white powder tires the eyes eventually and when you dine at one the coolest places on the slope, this lobster really stands out from everything else in the town. 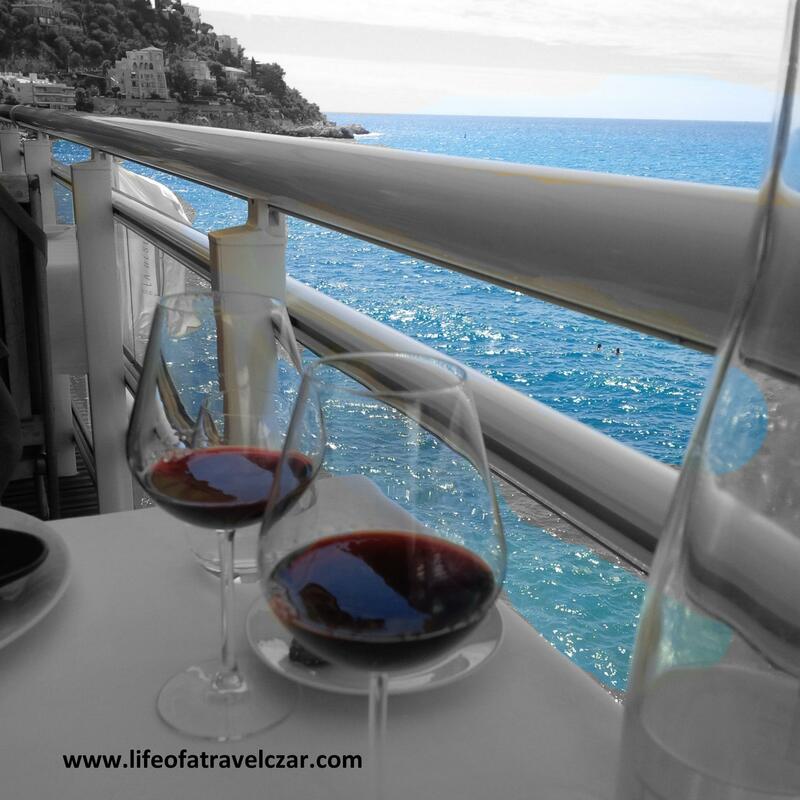 When you’re at La Reserve on the coast of Nice, nothing else matters except the Blue Oceans and Red Wine against that very back drop. You can see my review of the restaurant here. The stone and cobblestone streets of the Riviera (as beautiful as they are) can eventually become part of the furniture, but it is the beautiful vegetation that pops out of nowhere that can quite a sight. 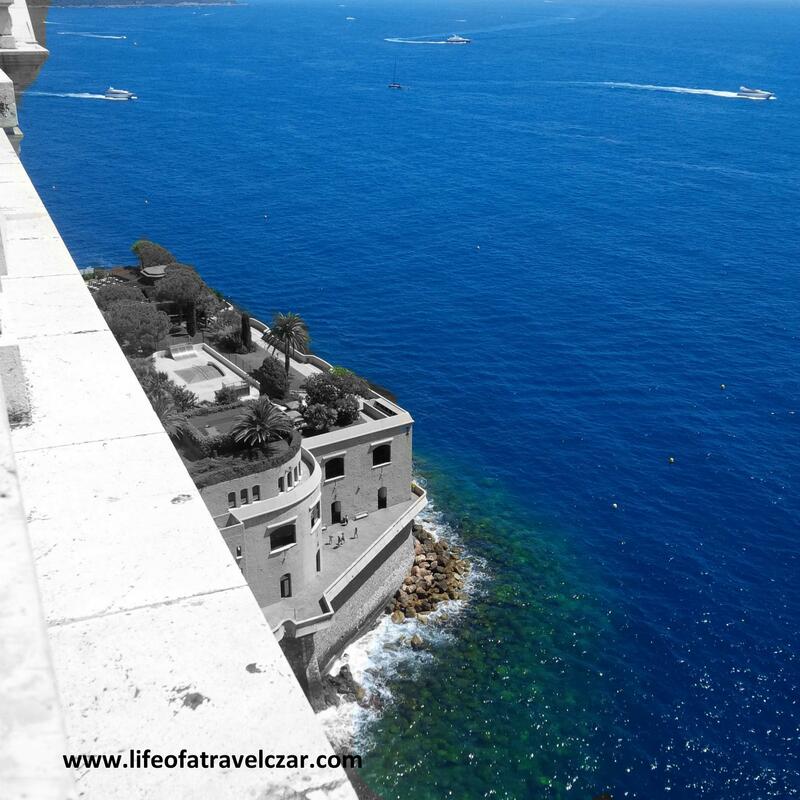 And when gazing at the deep blue Mediterranean Sea, does anyone (and I mean anyone) focus on anything else? Monte Carlo Forever! 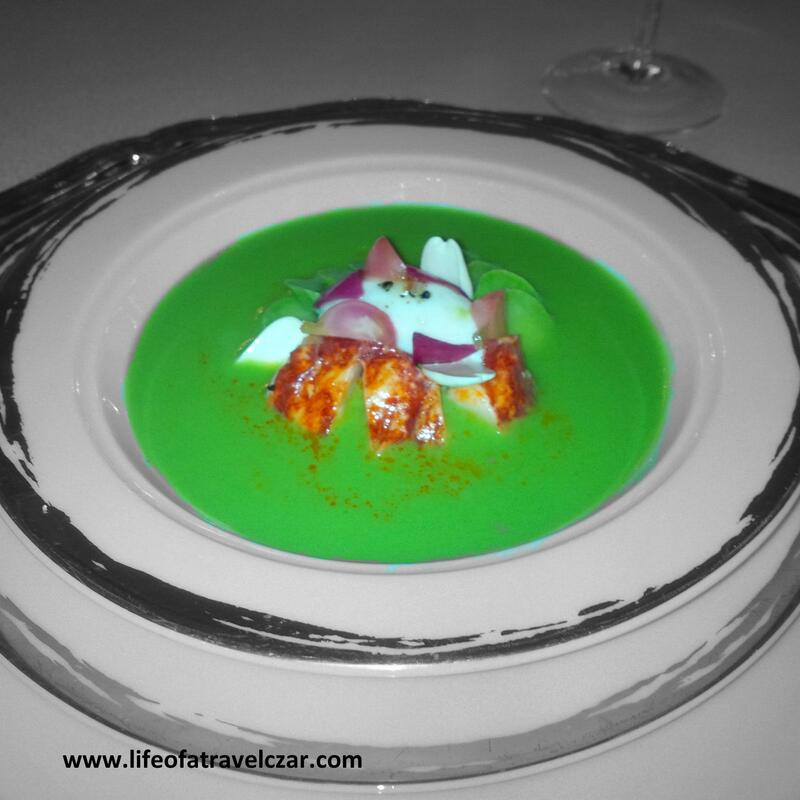 The soft-boiled lobster and courgette soup was a focus and even the gold-plated tableware and extreme silverware did not distract me from the moment (you can check out my review of Le Louis XV here). 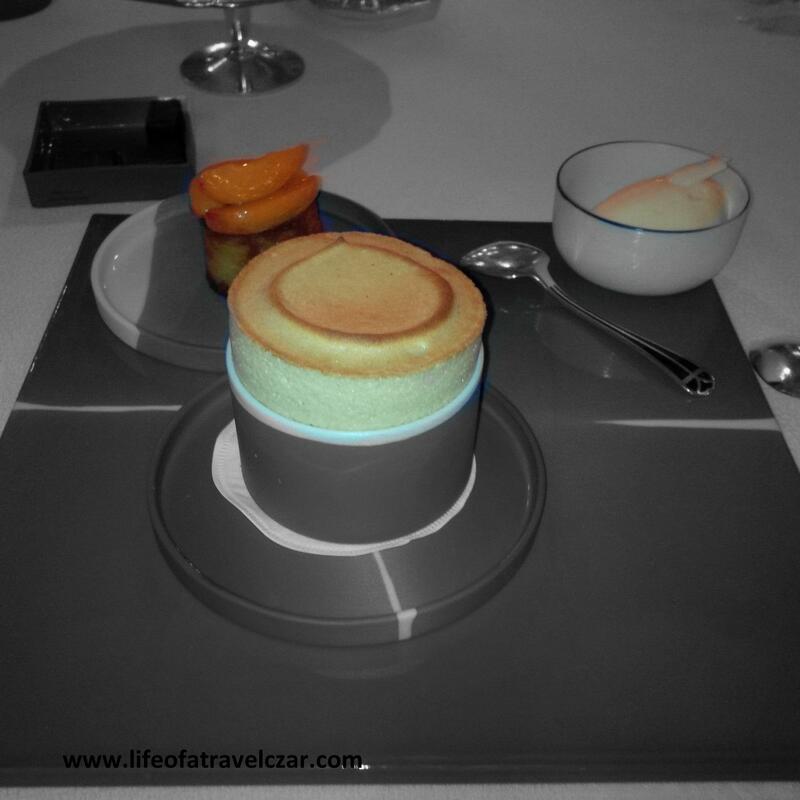 The desserts were amazing and even the reset table setting didn’t compare to the beauty of the dishes…. 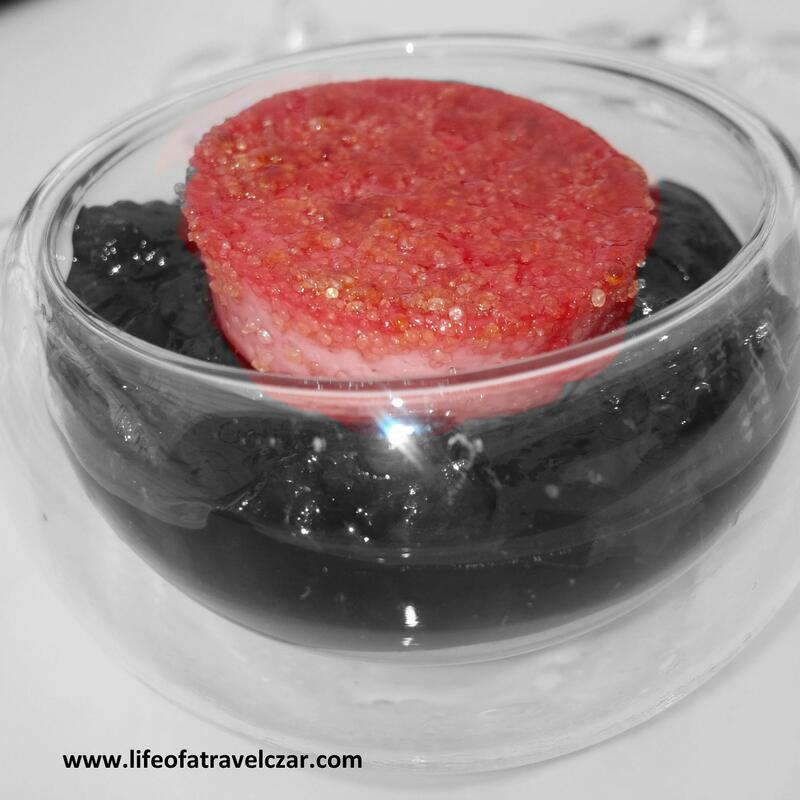 This gorgeous cherry creme brulee was amazing and certainly stood out even among the beautiful palm trees and jetset crowd in Cannes… you can check out the full colour picture and review of La Palme d’Or here. 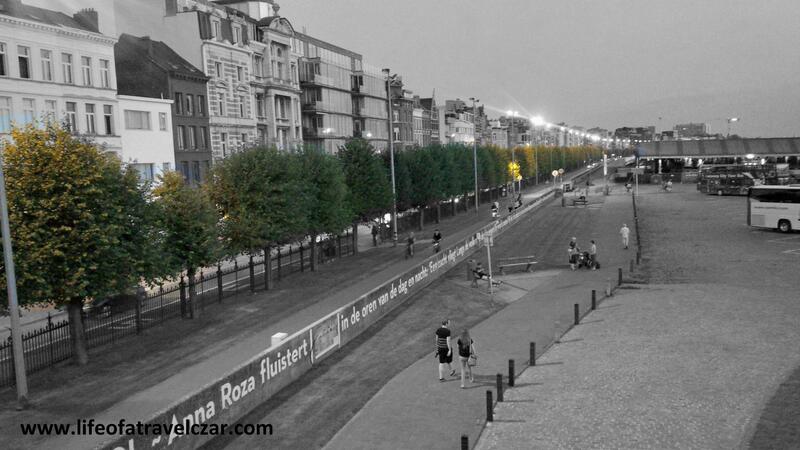 In the old city of Antwerp, the beautiful river and ancient stone buildings were no match for these beautiful tree-lined streets in the city. I just loved the city. 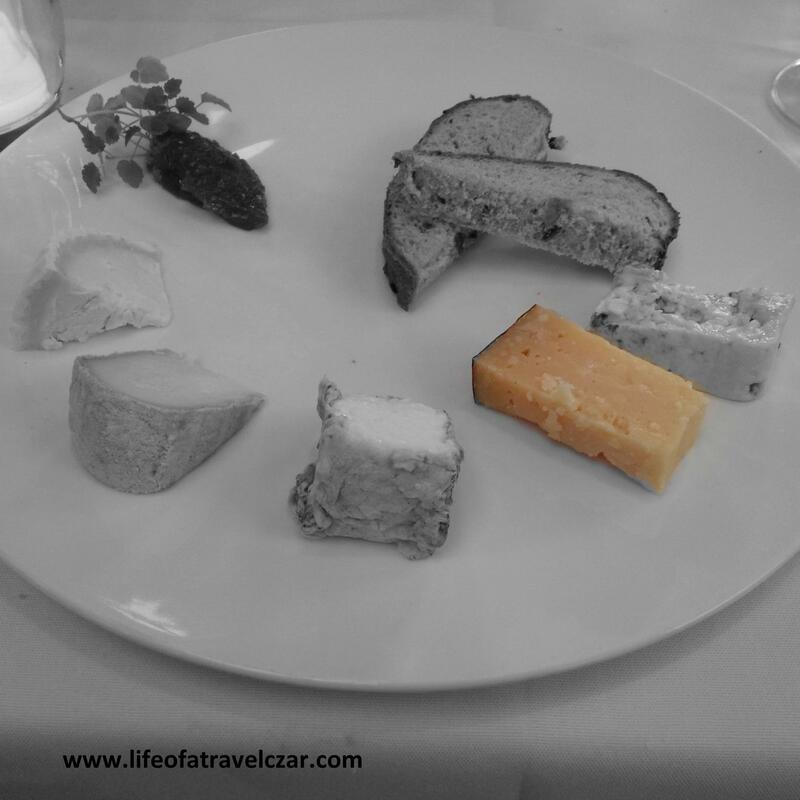 At Antwerp, I also had pleasure of visiting Het Pomphuis, an amazing restaurant and for dessert I ordered the Cheese platter. Sometimes one cheese just stands head and shoulders above the rest… this hard Belgium cheese below was a star (full review here). I love airline lounges but have been a bit dismayed at the lounges in Heathrow T3 of late. 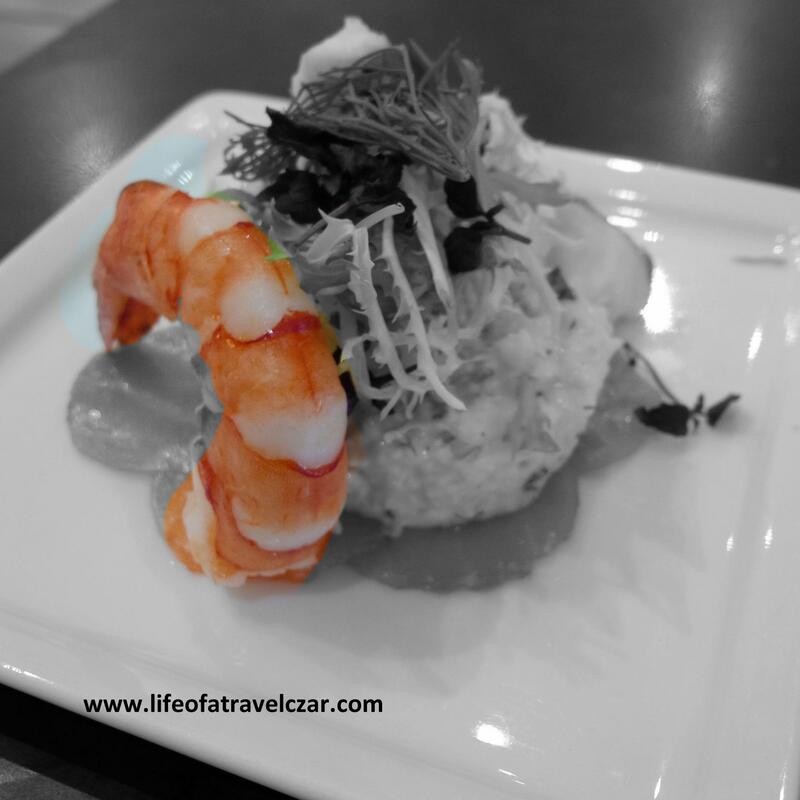 However this prawn with a crab timbale although simple, was defined by the bright red prawn that shone and sparkled to make every other thing in the lounge irrelevant. Such a lovely dish. (You can check out the review here). Although routine might seem all grey and boring, the flight home is something to look forward to! If you’re taking the late night departure from London to land in early hours of the morning in Sydney, the breakfast on board is a moment to cherish…. even with a full colour picture the dish stands out like a diamond in the British Crown. (Full dish and review can be found here). 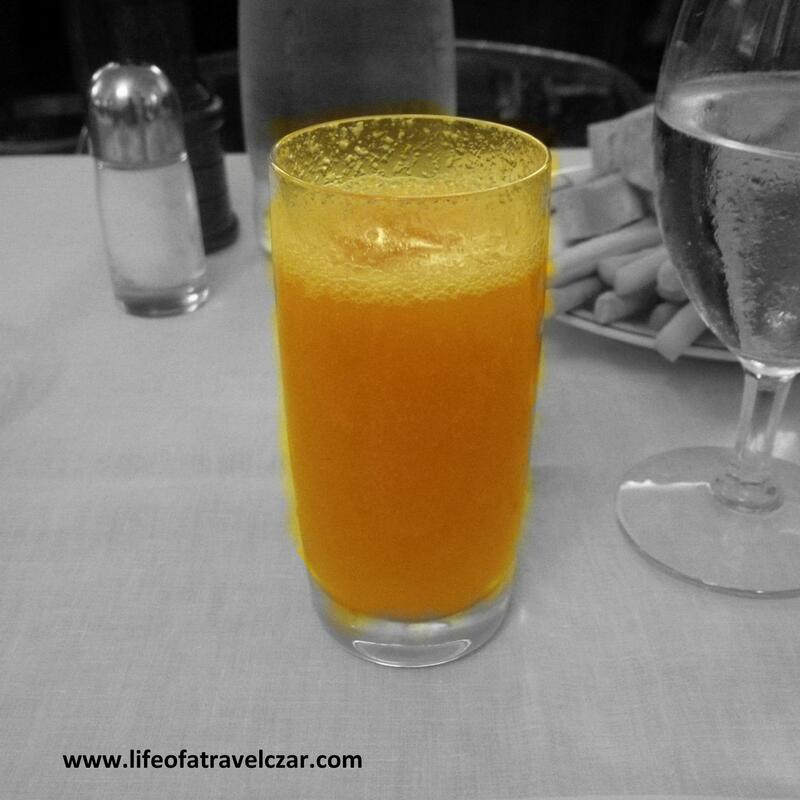 The colour of travel experiences are something to be cherished… happy travels people!